Disclaimer: I know NOTHING about astronauts. …would you please consider to draw astronaut paper dolls because when I get to grow up I’m going to be an astronaut scientist. 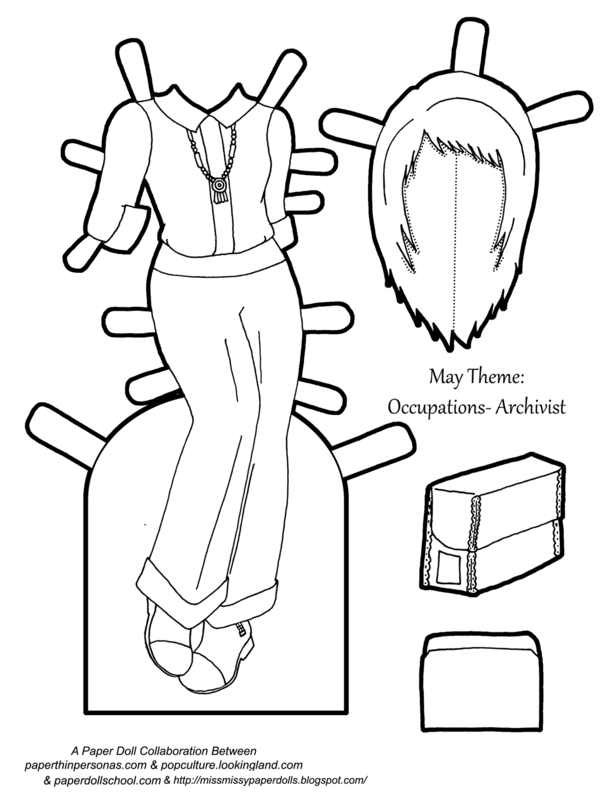 I have named the paper doll Emily for reader who requested her. Emily comes complete with a graphing calculator, space suit, lab coat, safety goggles and a rocket t-shirt. Who doesn’t need that? Emily has short hair so that her space helmet fits properly. I realized after I drew it that the boots should probably not be separate, but it was already colored by the time this occurred to me. I didn’t put a flag on her space suit, because I know I have a lot of international readers, but feel free to add your own. Happy Slightly Belated Birthday, Emily and Enjoy the paper dolls! Thoughts? Questions? Ideas about Space? Drop me a comment.